As part of a United Nations (UN)–wide initiative, UNEP and the BRS Secretariat will be implementing a new enterprise resource planning system named ‘Umoja’ with effect from 1 June 2015. Umoja, which means ‘unity’ in Kiswahili, is the United Nations’ administrative reform initiative, which involves a complete re-work of the way the organization manages its administration, in both business processes and Information Technology solutions. A single modern technology platform will replace outdated and disparate systems and will change the roles and responsibilities of staff and the way the United Nations interacts with its service providers. The system, which uses industry-leading technology and best practices, will improve decision-making processes, automate financial processes and improve reporting of information. Once the system is implemented, all areas of administrative work, including finance and budget, procurement, travel and human resource management will be managed in a more efficient and automated manner. The BRS Secretariat has appointed Mr. Osmany Pereira, as the focal point for BRS and, as the person to answer any queries you may have with respect to the implementation of Umoja (osmany.pereira@unep.org). The Secretariat will be able to provide real time financial data, reports and analysis to the Parties of the Basel, Rotterdam and Stockholm Conventions by allowing faster data access. Data for vendors, consultants and partners will be centrally stored and better integrated with finance. Procurement procedures and financial statements will be automated. 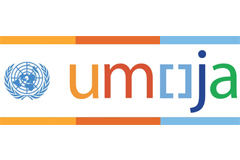 Umoja automates processing based on the existing United Nations (UN) Rules and Regulations. Travel of participants to be funded by the Secretariat to meetings, consultancies and procurement will continue to be managed by the Secretariat according to the applicable UN Rules and Regulations. Business will be affected during the periods prior to and after implementation of the system. In preparation for the implementation of Umoja, the Secretariat will be required to ramp down its activities from April 2015. There will be a two week blackout period from 15 to 31 May, during which the data from the current system will be converted to Umoja. After Umoja is launched and during the period from June to July, there will be an initial slowdown of business as staff learn how to operate in the new environment. The Secretariat has reviewed activities scheduled to take place during the period from April to July and set deadlines with the affected periods in mind and wish to request the understanding and cooperation of Parties during this period. Although this is not expected to affect the organization and delivery of the Triple COPs from 4 to 15 May 2015, some delays in the processing of payment disbursements and travel claims may occur. We would like to assure you that all measures have been taken to ensure that the blackout period leading to Umoja will cause minimal operational disruptions and contingency plans have been put in place. Staff training in relevant areas is ongoing and a UNEP Deployment Team will provide hands-on user support to the Secretariat during the initial months of implementation.